Built on an existing foundation, the design uses Corten steel clad walls to bracket two new floors with views through the house from front to back. All photography by Benjamin Benschneider. 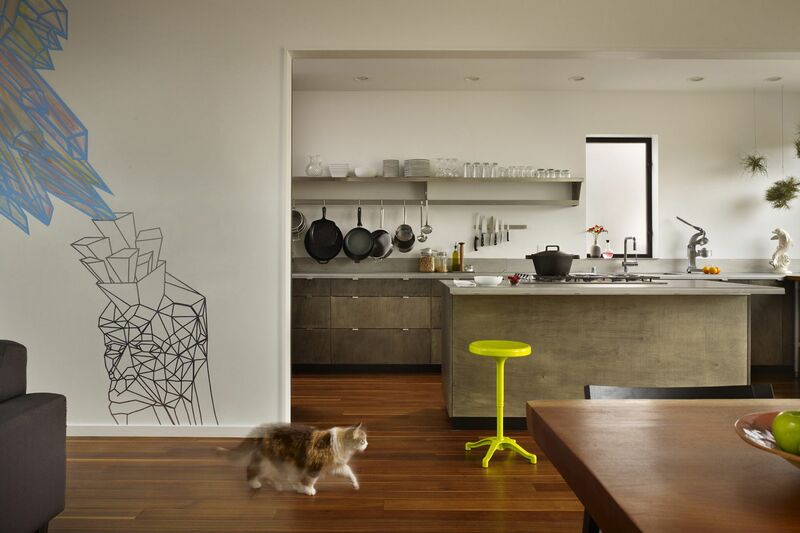 The owners love art, cooking, gardening, rusted steel and wanted the house to celebrate those things. 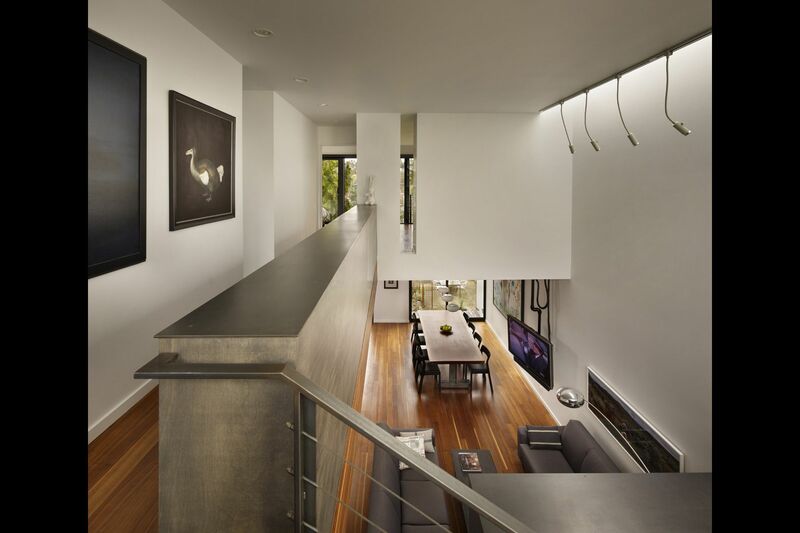 The interior walls are meant to provide space for a growing art collection. 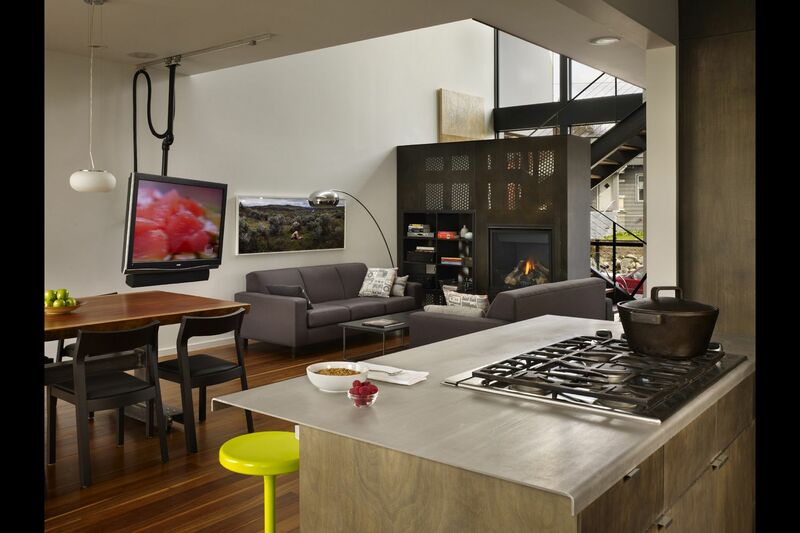 A TV is hung from an overhead track allowing it to be positioned and rotated for viewing from the Kitchen, Dining, or Living spaces. 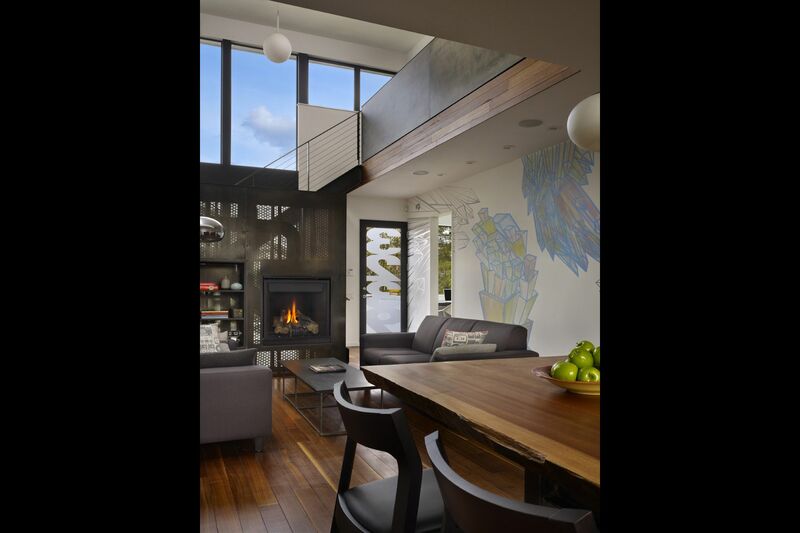 A custom steel wide flange stringer holds walnut treads, and a perforated steel clad fireplace provides screening from the street. 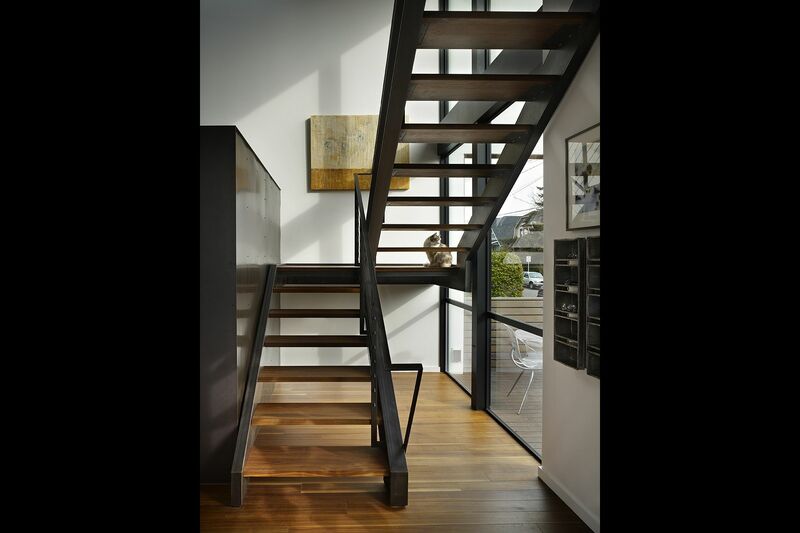 The Upper Floor has a linear skylight over a double height space to illuminate the art wall. Two Bedrooms, a shared Bath, and a Laundry Room occupy the Upper Floor. The guardrail provides library shelving. Materials are left natural and meant to be the background to art and life, such as the hand rubbed graphite casework and doors. The owners commissioned artist Chris Buening to create a custom wall mural that will evolve and change over time. 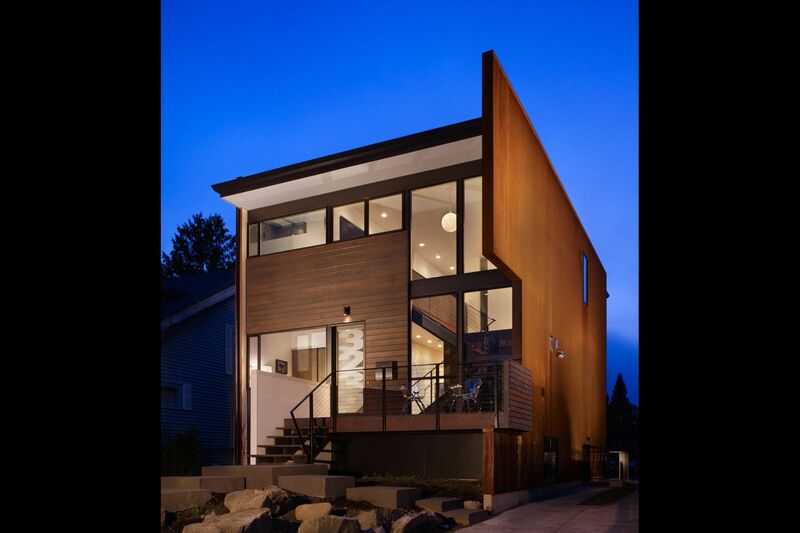 The rear elevation extends the interior into the landscaped backyard with a stained cedar terraced deck and concrete steps.